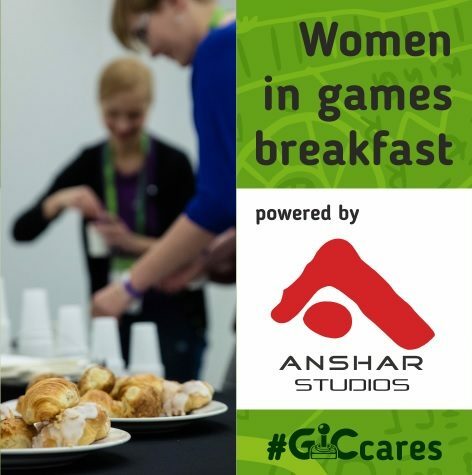 Last year we held the first Women in Games Breakfast powered by Anshar Studios. As the event was really appreciated, we decided to make it a tradition. What is Women in Games Breakfast? It’s a breakfast and roundtable at the same time, to empower and encourage female part of the industry. It is supposed to serve as the platform for discussion and knowledge sharing. We also hope that more experienced attendees will be able to advise on solving challenges the younger ones have. And — you can have a breakfast. Women in Games Breakfast will be held at GIC, pavilion 15, floor 0 on Saturday at 11:00 – 12:00.